Welcome to our review site covering some of the best self propelled lawnmowers available to buy in 2019. On the site, you’ll find a brief summary below of our favourite makes and models, along with a brief review of each. That should help you decide which is the model for you. If you’re still undecided, you can then choose to read our long form write ups of models where available. We’ve also got loads of information available relating to lawn care and how to choose a great mower. We hope you find our website useful! 3.1 What Is A Self Propelled Lawn Mower? 3.2 Why Would I Choose A Self Propelled Mower? 3.3 Can I Use Petrol From the Petrol Station In Mowers? 3.4 How Long Should A Self Propelled Lawn Mower Last? Let’s get started with a quick, at a glance style table to guide you towards your preferred option. Below you’ll find more info on each model, just click the ‘more’ link to find it. Now, we’ll go into a little more detail about each of the above mowers, with a short review to highlight what’s great (and not so great) about each one. 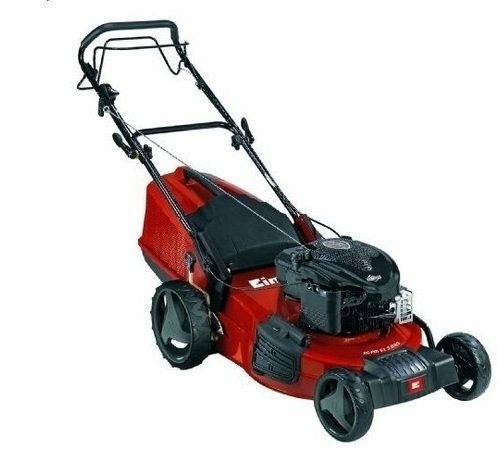 From the company that once sold us the ‘Power Of Dreams’, Honda’s Izy HRG 466 SK mower is certainly going to live up to that standard for readers with a huge garden. It may be a bit pricey for some of our readers, but if you need to go that extra mile (excuse the pun) for a larger garden, it may well be what you’re looking for. Lining up all the available self propelled mowers, this is up there with the best in terms of its ease of movement – it pulls like very few others over considerable distances, making the job a lot easier than lesser models. 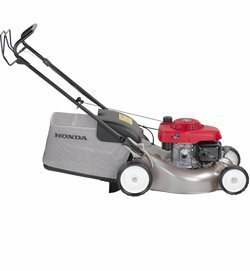 On the other hand, you’re unlikely to really value the difference on small to medium lawns over the Honda’s rivals, simply because they do a reasonably good job too. In other words, for small areas, you’re likely to find the difference of marginal benefit. The cutting width is slightly narrower than some of the other models we cover, meaning more back and forth strips up and down the garden, but at 46cm (approx 18 inches) it’s certainly not a poor performer either. If you’ve got much of a slope to contend with, that may also be a reason to give this Honda lawnmower some serious consideration. While there’s no mulching capability out of the box with this mower, what you do get is a generous 55 litre bag to collect the grass, so holds 10% more than some of the popular alternatives. It’s not a huge difference, but will mean a few less empties which might appeal to some readers who have the large lawns this model is aimed at. Einhell’s GC-PM46 features a 125 cc engine, providing a solid forward motion to drive the mower and its 46cm (18 inch) cutting blade. Einhell are a popular manufacturer of all sorts of power tools as well as lawn mowers, so have extensive experience in building solid machinery that is well design and easy to use. In the GC-PM 46 self propelled petrol lawn mower, they’ve created a strong and well rounded product that may not stand out for any one feature, but does demonstrate how a very well designed mower can ‘just work’. The Einhell is likely to be suitable for all but the largest lawns, and makes easy work of large expanses of grass. It should be noted that the mower travels at a solid walking pace, so may not be suitable for the elderly or anyone who struggles to keep up a regular walking speed. That said, for those who like to move quickly when mowing, this makes a great choice. 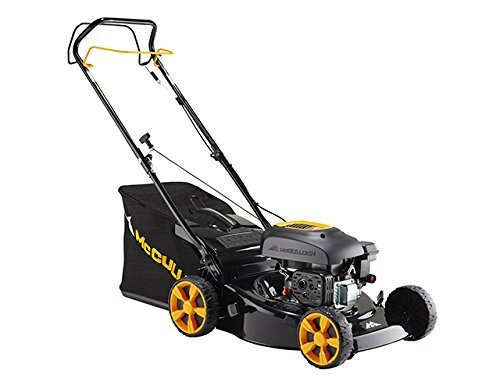 The recommendation is that this is a good choice of mower for lawns up to 1,400 square metres, however it’s perfectly capable of more if you don’t want to spend the extra on (or don’t have the space for) a bigger model. As for grass collection, the Einfell also has a nice touch in the fill level indicator – just watch out for it getting full rather than having to stop and check several times before you actually reach the point of emptying. With the bag having a fifty litre capacity, that shouldn’t require stopping too often, saving vital time when you’re in a rush to get the mowing finished. If you’re anything like us, that’s likely to be important when you’re trying to get the job done before the lorry comes to empty the garden waste bin! You could be forgiven for thinking first of cars when you hear the name Hyundai, but they’re actually the sort of company that have a presence with most products that utilise a motor. 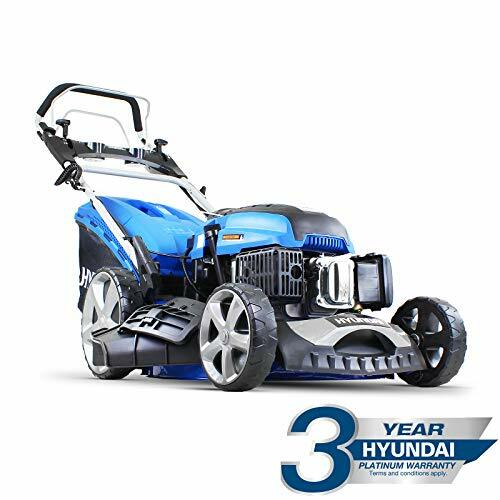 It this case, its a Hyundai self propelled lawn mower in the form of the HYM510SPE. Outstripping Einhell, you’ll get a 173cc engine and a 51cm cutting blade – that’s approximately 20 inches in old money. It also boasts a fairly typical range of cutting heights, 2.5cm at its shortest and 7.5cm at the other end of the scale. a range spanning 5cm doesn’t sound much, but it’s good enough to cover the vast majority of people’s needs. You’re unlikely to want to leave the blades any longer, and any shorter leaves most lawns looking relatively bare and susceptible to excessive browning in the summer heat. Of all the mowers, the Hyundai offers one of the largest capacities in collecting the grass clippings – a whopping 70 litres. That could mean almost 30% less emptying required to mow the same size of lawn. Particularly for home owners with large grounds, that’s going to make a huge difference if you want to dispose rather than spread or mulch down the waste. Of course, as you’d expect from a mower of this calibre, all of those options are available to you, spreading from the rear or mulching if you’re not collecting clippings. This Tiger mower might look a little feeble compared to some other models, but it does pack quite a punch – hence making it into our top mowers. It’s also very popular, ranking reasonably well without the big name that mowers like the Hyundai enjoy. As you would expect form a self propelled mower, the Tiger TM5120SP makes easy work of even the larger gardens, an essential requirement of these mowers over standard petrol alternatives. It’s also one of the few mowers that allows both side and rear grass discharge options, while still offering a 75 litre grass bag and mulching alternative. It’s worth noting that the cutting height allows shorter results than other mowers we’ve considered, starting at a very short 15mm. We’re not sure that is a particularly big selling point though, as there’s going to be very few people looking to take their lawn down to that length – you’d probably need a very good reason for doing so and we’re struggling to come up with one! All in all, it’s a good mower for the price, but if you’re happy to spend a little more, the Frisky Fox that’s up next or Hyundai above might be worth considering. The Frisky Fox Plus 20 inch self propelled petrol lawn mower has been our favourite option in the past, but at the moment its hard to get hold of. When it’s been available, its well rounded features have been backed up by competitive pricing. That was also reflected in the fact that it was the highest placed self propelled model in Amazon UK’s best seller list at the time of writing our review, a clear indication that it’s also popular with buyers too. What makes this such a great choice is the fact that there’s very little left out. While some aspects of the Frisky Fox are outdone by other mowers, very few come close to offering such a complete package. For example, the 50 litre grass clippings bin isn’t the largest available, but combining that with the ability to switch between collecting clippings as you mow or mulching instead is something that is hard to match in another mower at a similar price point. 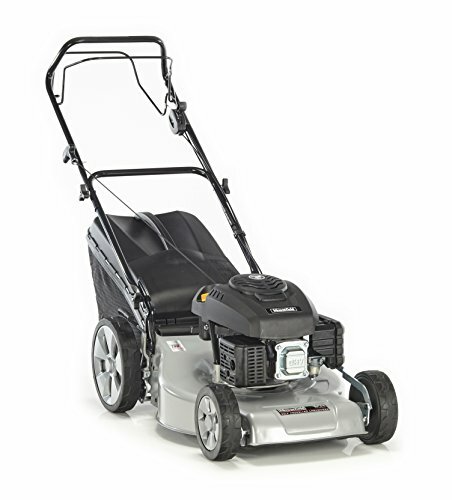 If you couple the value for money with the overwhelmingly positive customer reviews, it’s easy to see why this mower previously topped our table above. 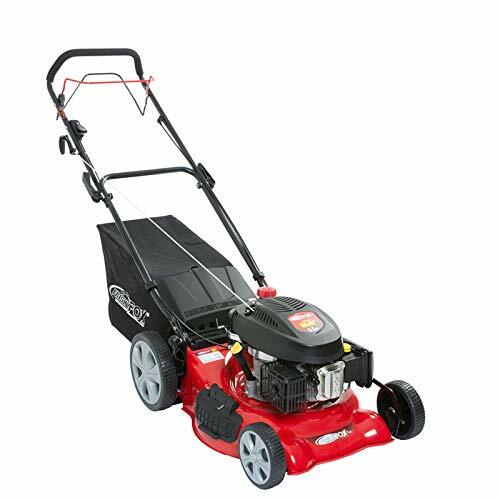 As a brief run down of features, this mower is powered by a Wolf 4 stroke petrol engine, which provides five and a half horsepower. That doesn’t sound like a lot if you’re not used to dealing with smaller machines driven by petrol engines, but the motor is plenty strong enough to assist you in heading up and down the lawn, even if it’s not particularly flat. All the motor needs to do is assist in the forward motion and to spin the blade to cut the grass, so often people are surprised that the power of the motor sounds low. Speaking of the blade, the Frisky Fox Plus boasts a 20 inch blade, which is 51cm in metric terms. That’s backed by adjustable height between 2.5 and 7.5cm (25 and 75mm) in order to achieve your preferred grass length. Generally speaking, if you have a more uneven surface to mow, you’ll want to choose a longer length in order to reduce the risk of the blade hitting the ground or other obstacles (such as badly located drain covers). As with the best mowers, you’ve got a choice of what to do with the ‘waste’ after mowing. As we mentioned a moment ago, you can collect it into the generous fifty litre grass bag, allow it to stay on the lawn, mulch or be scattered out of the side of the mower. Some readers may be unfamiliar with mulching and wonder how it differs from simply cutting the lawn. Mulching tends to use a special blade to cut the clippings down into a much finer size than normal, which means that clippings will break down and decompose back into the lawn more easily and more quickly. That in turn returns nutrients to the soil and means your lawn is much more likely to thrive. Einhell’s second offering is their RG-PM 51S self propelled petrol lawn mower. 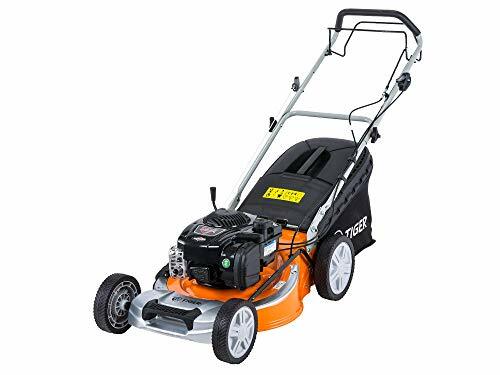 Like the Tiger TM5120SP, it features a 51cm cutting width, one of the wider options meaning less trips up and down the lawn to get the job done. 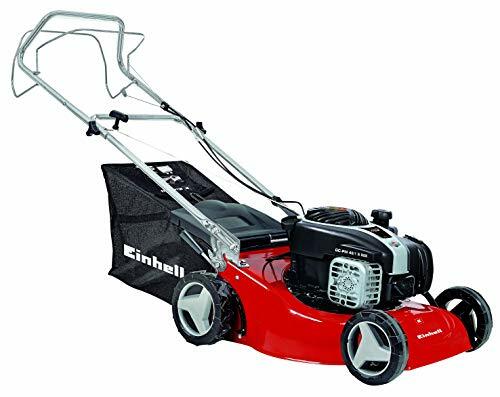 Einhell also claim that this is one of the easiest mowers to start, which is reassuring as many people experience frustration getting lesser mowers firing. One of the standout qualities of Einhell products is their build quality, and several customers note how robust their purchases continue to be over their lifespan. There’s a few common questions we need to address to help you if you’re new to these mowers. If you’ve used them before, you’re probably safe to skip over this section, although a refresher is never a bad thing! Let’s begin right at the basics. The idea of a self propelled mower is that it moves forward on its own when you’re using it. Generally speaking this is a feature of petrol mowers rather than electric ones, but they do exist on electric models if you really want one. On this site though, we focus almost entirely on petrol models, with the exception of drawing comparisons from time to time. Why Would I Choose A Self Propelled Mower? 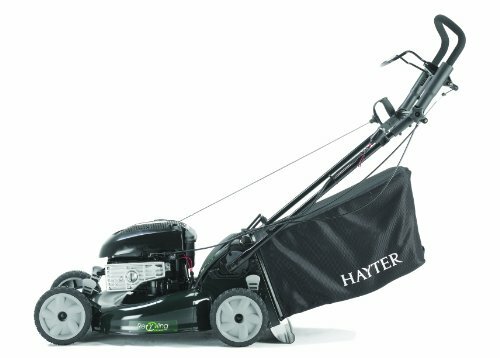 Quite simply, these mowers tend to appeal to people who either have very big gardens with large lawns to mow, or those that struggle to (or prefer not to) push a heavy mower around. They’re particularly popular in older age groups, but there are also a lot of mowers sold to younger people too. They tend to be a little more expensive than the mass market electric mowers, but they do save you a lot of effort and energy – something you’ll really appreciate on hot days when the sun is beating down! Can I Use Petrol From the Petrol Station In Mowers? Of course! Just get a petrol can when you buy your lawnmower and you can get a little extra petrol next time you fill up your car. Just remember that it’s illegal to carry petrol in the main area of your vehicle, so it needs to travel safely stored in the boot. Many new mowers will now work fine with unleaded fuel, while some user guides might recommend an additive called ‘mix’. If you read the customer reviews, you’ll often see people saying that they have used their for years without additives, so it’s up to you to decide whether to take the risk. We’d always advise readers to follow the manufacturer’s instructions. 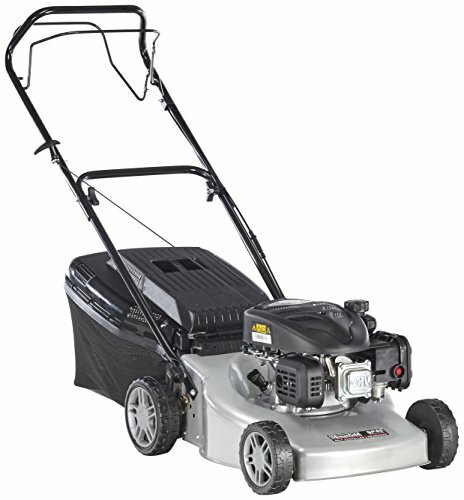 How Long Should A Self Propelled Lawn Mower Last? While this is inevitably one of those ‘how long is a piece of string’ types of question, you should expect a lawnmower to last for five to ten years. The exact lifespan will depend on the brand, how well it’s looked after (in other words whether it’s maintained properly), how it’s stored when not in use, the amount of mowing your lawn needs (both in terms of size of lawn and how often you mow), and also luck! Generally speaking, regular use will prolong the life of a motor, but only to a point. The more any machine with moving parts is used, the more wear occurs in the mechanism and the closer it gets to the end of its useful life. There’s an element of ‘you get what you pay for’ here too – buying a cheap unheard of brand may well cost you more in the long run than a high quality manufacturer’s model simply because the latter lasts a lot longer.